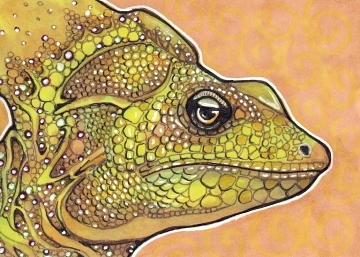 It started during this past weekend’s drawing marathon over at illustratedatcs.com, with this fellow. His name is Dag. 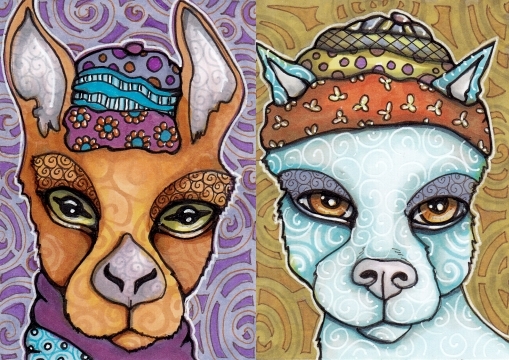 This entry was posted in ATCs and ACEOs, Copic Markers, Progression Photos, sketches and tagged beasts, Copic Markers, pen & ink on January 19, 2015 by The Beast Tender. As I mentioned in the email (the new-post-announcement, if you are a subscriber), I have not figured out how best to relay new post information without spamming email subscribers who are also Facebook subscribers. If you are accomplished at navigating these waters, please share your wisdom! 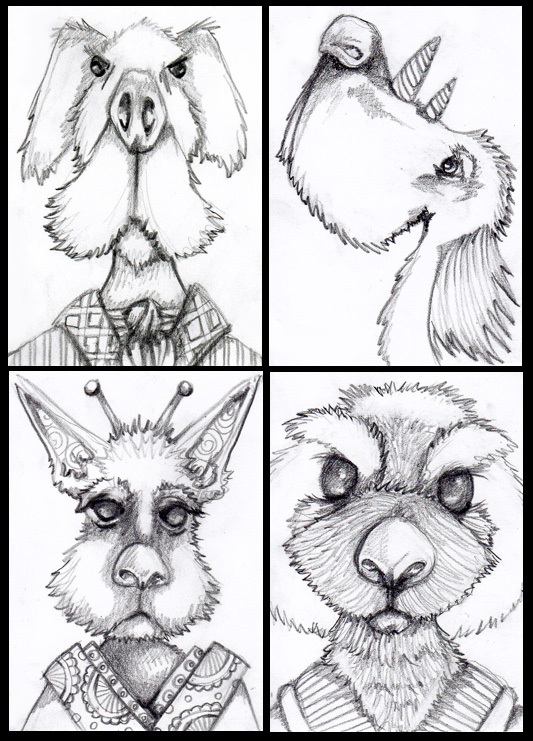 No progress pics for the last three drawings because I was without scanner, but a bunch for Franny. Thanks for stopping in! 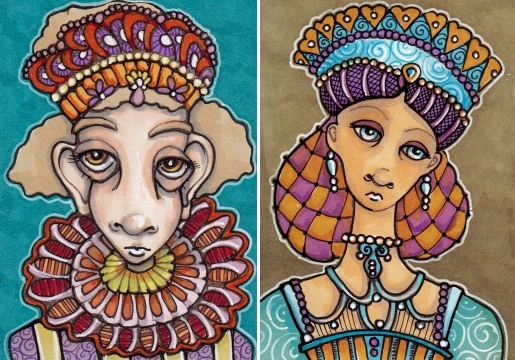 This entry was posted in Art Card Dogs, ATCs and ACEOs, Copic Markers, Elaborate Costume, Progression Photos, sketches, Unusual Animals and tagged aceo, atc, beasts, illustration, maidens, pen & ink on December 29, 2013 by The Beast Tender. 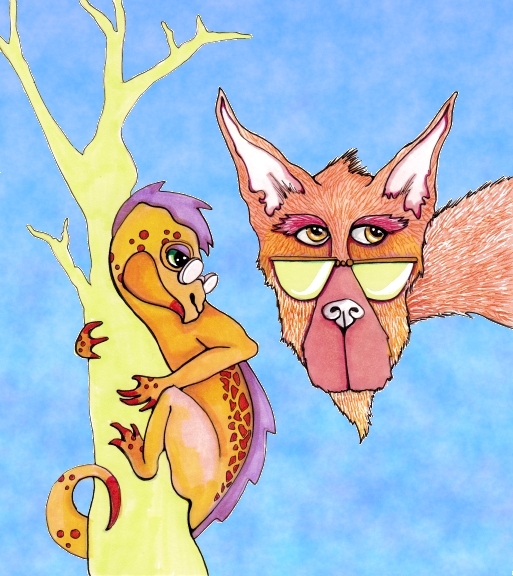 Submitted for the topic “Wild” at Illustration Friday. Now perhaps you don’t think of gargoyles as wild because you think of them as stone statues. If so, you have clearly never seen one leave its perch in the dead of night! 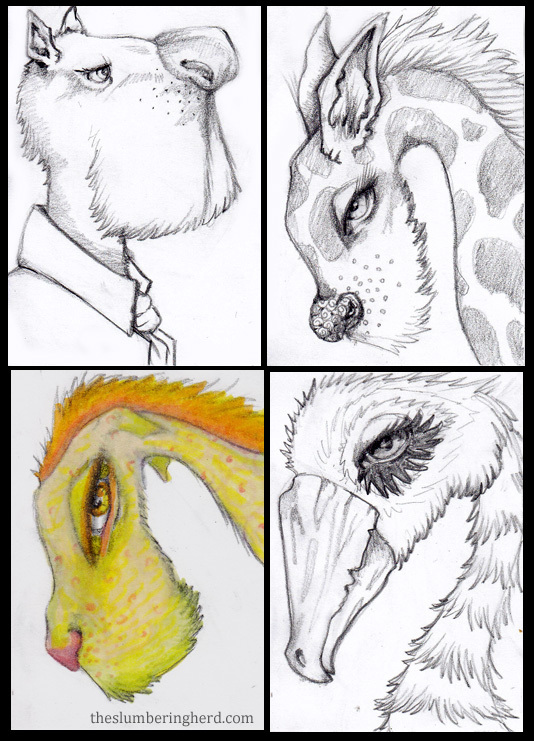 Fortunately, these four specimens are not the man or woman eating type. They are pacifist gargoyles. However, they look extra wild and dastardly in order to hang with the other gargoyles. Though mostly the quiet ones keep to themselves, occasionally gathering for Mystery Science Theater night. 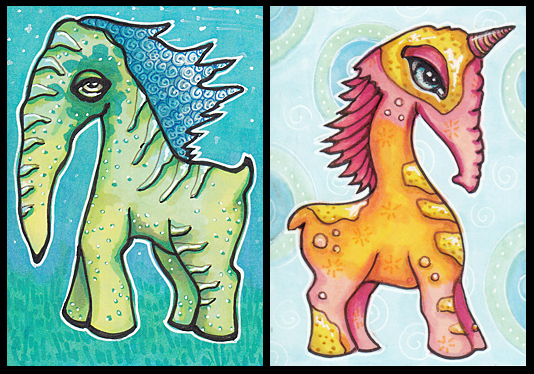 These four guys were created for an art card swap. I’m quite pleased with the eyes, which I’ve been working on improving. 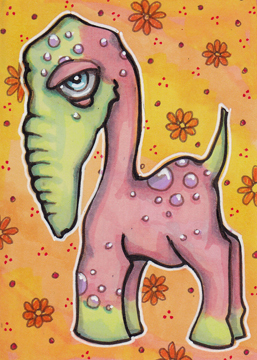 This entry was posted in ATCs and ACEOs, Copic Markers, Progression Photos and tagged aceo, atc, beasts, Copic Markers, Illustration Friday, pen & ink on April 16, 2013 by The Beast Tender. For the topic “Eye Glasses” at Illustration Friday. The Woodland Book Club meets once a month to discuss a book chosen by popular vote. This week it’s Tailchaser’s Song, by Tad Williams. Every member of the Book Club wears eye glasses which is great business for Josey, an ophthalmologist. Some members don’t even need a corrective prescription – they just like to wear them as a token of membership. Josey and Ivan always get to the Book Club early. They like to try to guess who has finished the book as each member arrives. I was going to finish the tree more but decided to leave it. Thanks for stopping in! I’m really trying to get back to two posts a week. 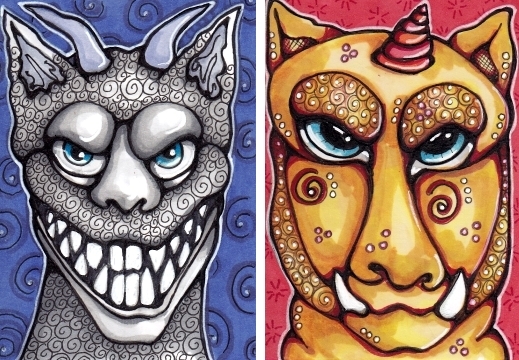 This entry was posted in Copic Markers, Progression Photos and tagged beasts, Copic Markers, illustration, Illustration Friday, pen & ink on March 19, 2013 by The Beast Tender. For the topic “Wool” at Illustration Friday. Did not manage an entry for Wheel or Storm but hope to be back in the saddle with these crazy sheep. My intention recently is to cut back on the thick black outlines. I did a bit of that, but could have done more! Still, I think the woolly parts are rather neatly colorful. Peach (the cat) and Banana (the bird) were named by a three-year old. Banana seems to think Peach is her mother. Peach tolerates this with as much dignity as possible. Sheep reference photos one and two. 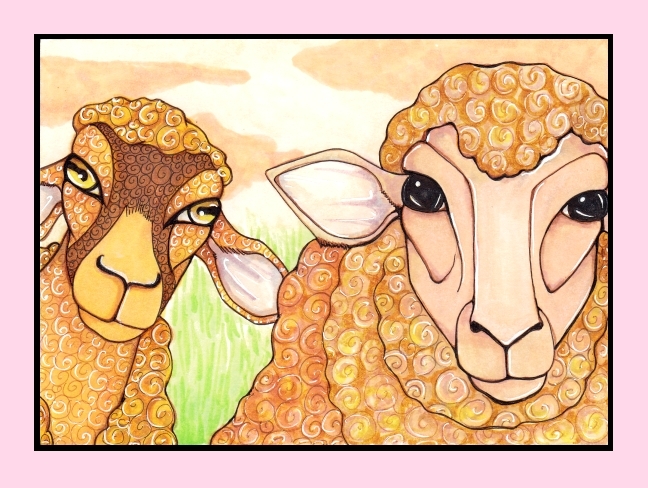 This entry was posted in ATCs and ACEOs, Copic Markers, Progression Photos, sketches and tagged beasts, Copic Markers, Illustration Friday, pen and ink, sheep on February 18, 2013 by The Beast Tender. For the topic “Explore” at Illustration Friday. I started off with a giant bird but got frustrated with the wings and went back to my old standby, the horse beast! 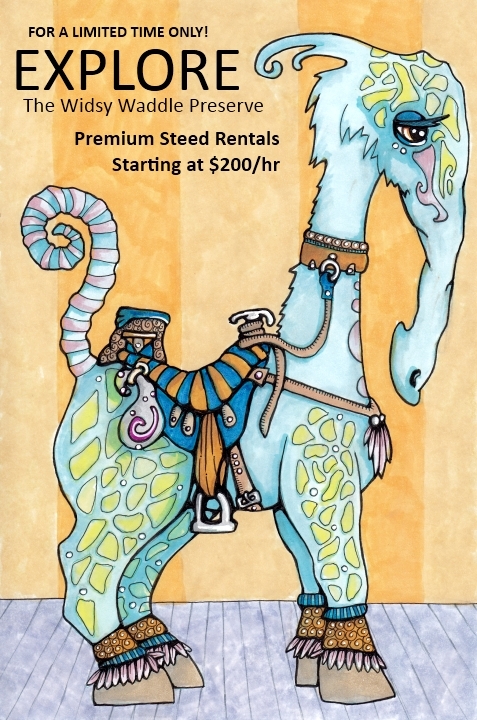 I was going to put a fairy or some other humanoid on his back but then I thought about my imaginary advertisements like Llama Genie Airships and the Elephant Shrew Urn. Now that I’ve got a handful of these I should do a series. And then a book! Alternatively, I could build on all my creatures who live in the Wonder Woods, merge the advertisements into the same world, and write a historical document and/or book! It’s fun coming up with potentially original, commercial ideas! Doing them, on the other hand – much more tricky! Progress pics below. (Hmm, I should add a shadow at his feet.) Please feel free to leave a note, and thanks for dropping in! 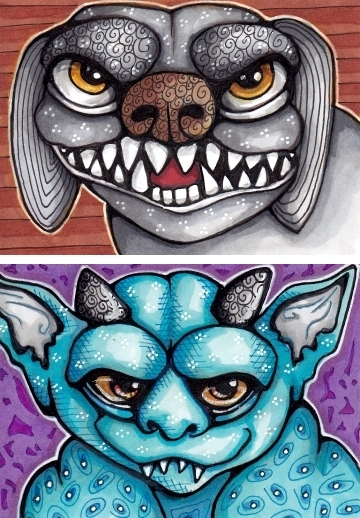 This entry was posted in Copic Markers, Progression Photos, sketches and tagged beasts, Copic Markers, Illustration Friday, pen & ink on December 8, 2012 by The Beast Tender. I have to admit I am very fond of George. He was going to get a tree or a fern leaf, but I decided not to risk mucking up his Zen space. He does meditation most evenings. 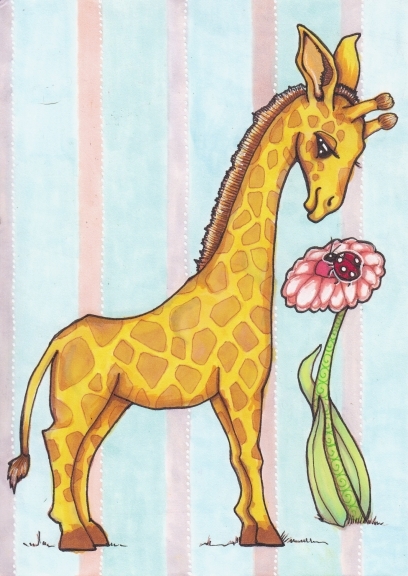 I almost abandoned this card (like many other half-sketched images recently!) but I told myself it would work out. And it did! Possibly my best one yet. 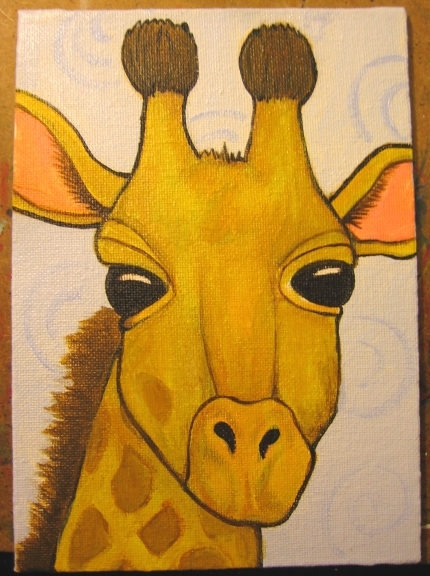 I would keep it, except I’ve been keeping too many lately and besides, I have to mail it off tomorrow! 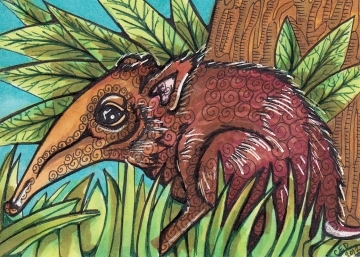 A few weeks ago I made the fox (a different style than my other foxes, though I’m not sure my rudimentary hatching went as well as I’d like), and also the elephant shrew. Photo references are usually linked at the bottom of my posts. I use photos as guidelines and try to make the drawing very different. Alastaire is a forest elder and renowned peacemaker. 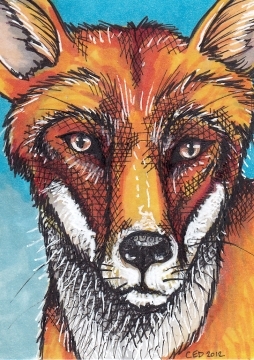 Feuding foxes accept his judgement on a variety of matters from kit-rearing to boundary agreements. Unlike her hyper brother Alec, Francesca is shy around strangers. All bets are off once you get to know her, however, because then she’ll chatter at you for hours. Mostly about shrews or bugs. But once in a while, if she’s in a strange mood, about the circle of life. 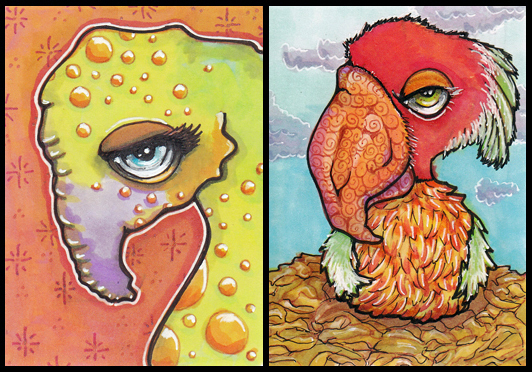 All three Artist Trading Cards (ATCs) were made for the Woodland Creatures swap at illustratedatcs.com. Thank you for visiting! Basilisk lizard photo reference, fox photo reference, giant elephant shrew photo reference. 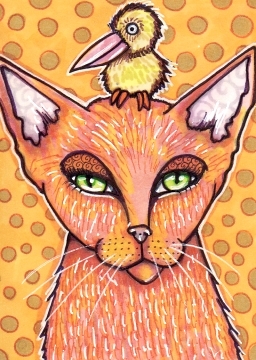 This entry was posted in ATCs and ACEOs, Copic Markers, Progression Photos, sketches and tagged aceo, atc, beasts, Copic Markers, illustration, pen & ink on October 11, 2012 by The Beast Tender. 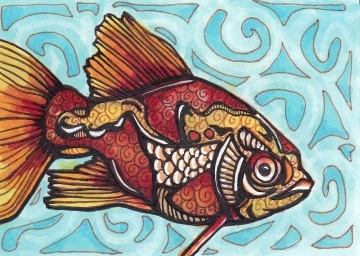 Then, another fish. Emilio wanted to be a seahorse when he grew up. Once he learned it was never going to happen, his expression turned into a scowl which has been with him ever since. Much too heavy-handed compared to the first one. Must stick to the tiniest nibs. Arrrgh! But still happy with him. 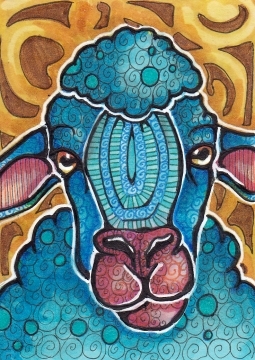 I seem to be doing lots of sheep. Here is another. Thanks for visiting! I totally skipped an Illustration Friday but plan to do “Freeze” this week. Probably! 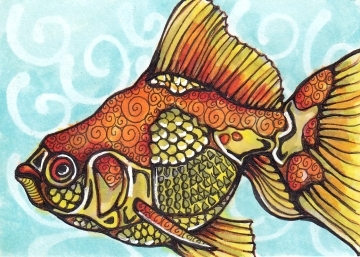 This entry was posted in ATCs and ACEOs, Copic Markers, Progression Photos, sketches and tagged beasts, Copic Markers, goldfish, illustration, liquid frisket, pen and ink, sheep on August 10, 2012 by The Beast Tender.